Lauren joined CFG Law in 2008 and specialises in road traffic accident compensation. With over 5 years’ experience in personal injury claims; Lauren has vast experience in low-velocity impact claims, where she can help clients prove their injuries have been caused by a low-speed accident. 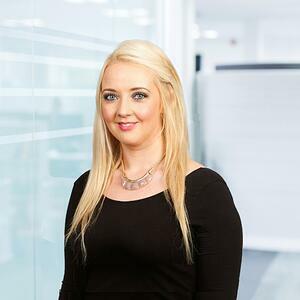 Lauren also has experience with claims on behalf of children who have been involved in a road traffic accidents, as well as accidents on public transport. She also deals with claims where the Defendant is untraced and will proceed with the claim through the MIB (Motor Insurers’ Bureau). Lauren takes great pride in helping clients and has a friendly and professional approach. She keeps clients informed of any developments with their claims and tries to settle cases as promptly as possible, whilst securing the maximum amount of compensation.